The premise of the book had me engrossed – a concentration camp for children with X-Men like abilities fighting for their freedom. It certainly stands out amongst its peers with storyline and an interesting dystopian world. I admit to having a little *squee* cracking the spine on this edition. Overall I enjoyed the book immensely. But there were parts in this novel where my compulsion to read on waned. I can’t quite put my finger on why my interest faltered, because I thought the story to be fantastic – maybe it was the writing style, or maybe the narrative could have been tighter and removed more of the unnecessary scenes…I feel uncomfortable saying that because I would rather have a definitive opinion on what it was that had me putting the book down for days on end. I’m usually a quick read – especially in the YA paranormal genre. 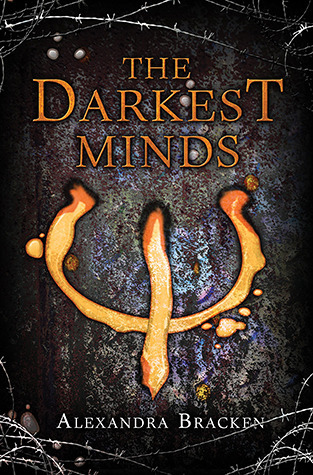 But the pacing in The Darkest Minds was the biggest let down. I also have a rocky relationship with the main cast. While interesting, and exhibiting moments of strength, they also fell flat. Maybe due to the pacing of the story, but I failed to connect and cheer them on. There is interesting character development which I will give high praise for, and I am definitely going to be reading the second book in the series, Never Fade, as I want to see where the story is taking our mutant band… and hopefully the pacing will pick up somewhat. © Casey Carlisle 2015. Unauthorized use and/or duplication of this material without express and written permission from this blog’s author and/or owner is strictly prohibited. Excerpts and links may be used, provided that full and clear credit is given to Casey Carlisle with appropriate and specific direction to the original content. There are some truly raucous moments in this book, I mean I was laughing so hard tears came to my eyes and I was doing that choking gagging noise… and then others where I was nodding off to sleep and skipped ahead. I guess this book falls under the same condition that all comedians suffer – we expect them to be funny all the time. Being autobiographical, this book is great for its genre. Granted I have not read widely to compare it with much of what’s on the market, but you get a real and personal sense of Amy’s life and struggles. The narrative was distinct and clear – the fact that I could hear her voice in my head, the intonation of her words and how she does that bark-yell thing when she’s angry/surprised/excited adds kudos to the writing style of this book. If you cast a feminist eye over Amy’s novel, it is much more poignant – dealing with a male dominated industry and the tools she used to sail the choppy waters of late nights, bar-hops and business meetings in greenrooms all the while juggling being a woman, a mother, and lest I say – a blonde. You get glimpses into her relationship with Tina Fey and productions on various movies, S.N.L and Parks and Recreation. The only bad thing I can say about Yes Please, is that it tended to waffle on in parts. Mainly because it reads like she talks (in fact parts of the book are verbatim from a recording) and you know how we all waffle… but it does not make particularly good reading. I felt if it had gone through a better editing process – tightened up the story and pacing it would have been outstanding. It instead was a collection of instances and stories, littered with Amy’s distinctive comedic attitude and some of her colleagues. I compare it to Hyperbole and a Half by Allie Brosh where both hilarious and serious topics were tackled in consecutive chapters. I’d recommend it to her fans and to those who love reading celebrity Autobiographies, otherwise you may find, as I did, the change in tone as this book swaps from subject to subject a little jarring. Psychically connected to a deranged killer… it certainly would have me wanting to hide away. With another comparison from my favourite horror/suspense author Dean Koontz I’m taking a trip back nearly twenty years. His books, along with those written by Piers Anthony are what got me hooked to reading in earnest – and the first book-to-screen adaptations I’d seen. So, how does the 1995 film stack up against the novel? I found the book much more menacing – where we had glimpses into the antagonists thoughts and his truly insane motives, where the film lacked that aspect. The novel spooked me, where the film did not. Additionally, the novel had another level to the storyline (which I won’t mention – spoilers) that didn’t work so much in the film. Yes it was dark, but lacked the struggle through the storyline to truly give you pay off to make your skin crawl. In a period where horror movies were being churned out Stock, Aitken and Waterman-style, Hideaway wasn’t anything different and certainly did nothing to stand out of the crowd. 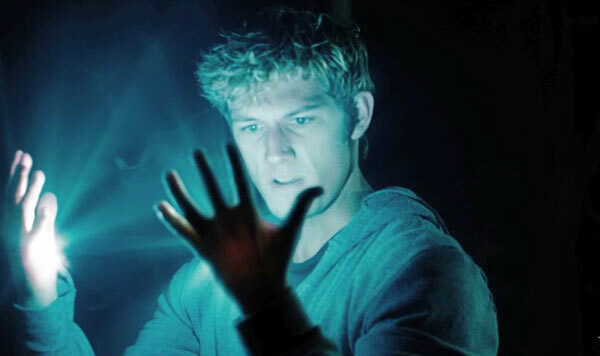 Dean Koontz attempted to have his name removed from the credits because he was so disappointed in the film, and Dennis Quaid had his omitted from the project as head of the production company. As a die hard Dean Koontz fan, I was able to forgive the shortcomings of the movie. The characters weren’t developed as much as their written counterparts. However having a stellar cast for the movie redeemed it from a ‘b-grade’ rating. Jeff Goldblum certainly added to the film experience, as did Alicia Silverstone. While the film remained true to the novel, it simply lacked depth. Characters were two-dimensional and typecast, and thus lost the spookiness from the book. At the time of it’s release, I enjoyed the movie – though if it were re-made today with all the special effects and a love for darker stories and anti-heroes, I feel Hideaway would fare much better and finally do the novel some justice. There is some chatter of a television series based on Hideaway, which would be great to see executed, but I won’t hold my breath. When I see movies that include mystics, fortune tellers or psychics, most of the time I cringe. They always come off as spoony and lose all the mystique that you get from reading the novel – and the tarot card reader in Hideaway was no exception. However, Hatch (played by Jeff Goldblum) managed to keep some integrity. While the movie is entertaining, it fails to reach the intensity of the novel, so it’s another win for the written word from me! But when your whole life gets swept up by a tornado – taking you along with it – you have no choice but to go along, you know? Sure, I’ve read the books. I’ve seen the movies. I know the song about the rainbow and the happy little bluebirds. But I never expected Oz to look like this. To be a place where Good Witches can’t be trusted. Wicked Witches may just be the good guys, and winged monkeys can be executed for acts of rebellion. There’s still a yellow brick road – but even that’s crumbling. It’s not really a book I would have picked up, but after being suggested by many friends I finally caved – and it wasn’t half bad. I got lost in the story easily and the narrative carried me through Amy’s adventures with ease. The underlying tone of bullying and corruption of power is very prominent and I like how these issues were dealt with in a magical setting. It was about finding your voice and standing up for yourself – without crossing that imaginary line that causes harm to another… unless absolutely necessary. This is a book about premeditated murder after all. An enjoyable and fantastical read, I can see it appealing to those who love fairytale retellings or inspired stories. Not really my interest, but nonetheless Danielle Paige weaves a colourful world where two-dimensional characters are given three dimensions. Our protagonist, Amy, felt a little whiny and altruistic at times, but when you’re dealing with clichés, it’s hard to put it off completely unscathed. I’m glad her internal monologue questioned everything, how she drew her own conclusions and formed her own opinions from facts and observations. She’s not the typical victim we usually see in YA (not completely). I found Dorothy Must Die quite a fast read, and there were plenty of times I was rolling my eyes at the story, but it has witty and comedic moments, in addition to building tension to a point where you really get a sense of danger. The pacing is a little stop-start at times, which left me yearning for the climax… and when I finally reached the end, wasn’t entirely impressed. It could have had so much more punch if the storyline was built better towards the culmination. 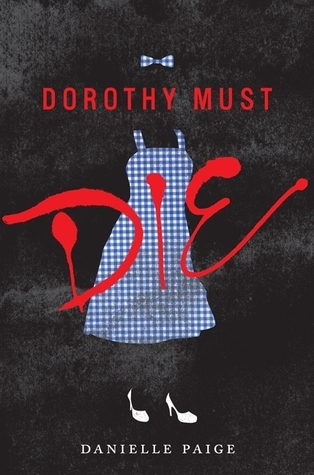 Dorothy Must Die, wasn’t terrible, it’s entertaining and pleasant to read, but not something I will rave about. There were elements of brilliance in Danielle’s writing, but it didn’t quite pay off. If you are into the fad of fairytale genre novels, be they adaptations, or new novels in the same world (which is not unlike fanfiction) then you’ll most likely love this. Otherwise I’d only recommend it if you want spend an afternoon reading something light and a little left of centre. Novel-esque dystopian conditions make for interesting living on my mountain top. Some days I feel like my life mirrors the post-apocalyptic YA novels I enjoy reading. I was forced offline yet again from failing hardware. Finding a solution with my smart phone and an online order, thinking I was being clever ensuring a quick resolution, I ordered the parts needed and awaited for them to be delivered to my door. When in reality it added an extra month to my hiatus from the world wide web. It would have been so much quicker to suffer the forty minute drive to a regional centre and purchase the parts in person. Grrr! We ran out of water. Nothing to drink, no showering, I couldn’t even wash my dirty dishes. Learning all the life hacks up here is character building. Living on a remote range means I have to pump my water from a rain tank or from the natural spring…. It’s no longer as easy as turning on a tap and paying the bill at the end of the month. Just like my writing had resorted to the primitive: writing on paper with a pen, it was strangely exhilarating to overcome these obstacles. The fact that the days up here are incredibly humid and temperatures average between 32-40 degrees Celsius – you get hot and thirsty! (Not to mention develop somewhat noticeable body odour) I was concerned about my three fur babies in the extreme heat – they are covered in tick luxurious hair and used to the cool Melbourne weather… for three days they did not stop panting. It called for plenty of douses in the shower with cold water (until it ran out) and trips in the air-conditioned car. I’d Maguyvered a tray to slip over the steering wheel to act as a desk, the blessedly chilly air from the vent and novel make-shift office, only spurred my imagination. I managed to scribble out the plot points for a sequel and finished writing a few chapters. Next week a cooling unit is going to get installed into the Writer’s Cottage – thank heavens. But will the quiet everyday pace be less challenging and my writing suffer? Yeah right lady, this is our mountain. Talk about a fish-out-of-water story! You have to dress practically here – gone are my business attire and high heels – I’ve had to purchase “gardening outfits” that make me look like I’m about to venture off on a long hike. But I suffer the fashion crisis rather than get sunburnt, bitten, scratched, poked, or slip on my backside. I’ve already done all of those things, and value these new rumpled clothes and hardy footwear – if only there was something to stop me from walking though spider weds and swatting-waving for ten minutes afterwards in hopes the creator of the sticky structure in not still clinging to me somewhere. Really, I’ve only been living here four weeks and already sustained a hip injury, bitten by spiders, had a tree ant fall into my top and wreak havoc, bruised my legs so badly moving boxes and furniture I look like I fell down a ravine, poked myself in the eye with a stick (don’t ask) and turned beetroot red from overexposure (10 mins in my case) to the sun. But for some reason, have written one of the highest word counts in a while… so there is a lot to say for unplugging and returning to nature. Let’s just hope my situating does not escalate, although I’m prepared. Bring on zombie frogs and vampire wombats I say! What difficult situations have inspired your writing?